There is a movement from the left, quite organized and working feverishly to undermine Glen Becks Radio and Television programs. 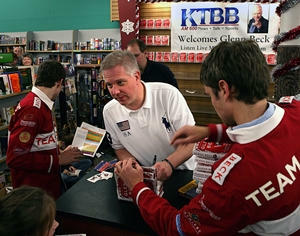 What ever your views on Glen Beck are, sabotaging businesses for failure is a radical thug act. Advertisers are caving into these gangs of underminding radicals, and pulling their advertising from his programs. We are going to attempt to keep of a list of products/corporations who are pulling sponsorship. Money has and will always be the ruling faction when it comes to advertisers pushing their chemically laden products on an overwhelmed American public. Is a left-wing attempt to scare off advertisers from Fox News host Glenn Beck’s highly rated cable news show being orchestrated with some high level help from the Obama White House? Newsmax has learned that the co-founder of the African-American political organization Color of Change, which is calling for Beck's ouster, is civil rights attorney Van Jones. In March, President Obama appointed Jones to serve as his so-called "green-jobs czar," responsible for stimulating job growth in the environmental sector. "I don’t have proof that the White House asked Color of Change to help it fight back against Glenn Beck," Matthew Vadum, the Capitol Research Center senior editor who has written extensively about Jones' activities, tells Newsmax. "But I wouldn’t be surprised to learn it had. Van Jones has the president’s ear. It’s a few hundred feet from his office at the Council on Environmental Quality to the Oval Office." The other co-founder of Color of Change, James Rucker, confirmed to Newsmax that Jones' formal association with Color Of Change ended in December 2007. He states however that the organization continued to use Jones' name on their e-mails until May 2008. Jones and Beck have had their run-ins before. Beck has described Jones as "a black nationalist who is also an avowed communist." Color Of Change claims that it has pressured a growing roster of companies into pulling their ads from Beck's program: Roche, Sanofi-Aventis, RadioShack, GEICO, Progressive Insurance, Men's Wearhouse, State Farm, Sargento, Lawyers.com, and Procter & Gamble. One company — SC Johnson of Racine, Wis. — is disputing statements that it has pulled its ads from the Beck show. "There is misinformation out there on the Web," Chris Beard, SC Johnson's director of public affairs, tells Newsmax. "We have not directed advertising toward the Glenn Beck show. Consequently, we have not pulled any advertising from the Glenn Beck show. Actually, that is misinformation." The campaign against Beck stems from remarks he made on the July 28 Fox & Friends program, following Obama's assertion that the Cambridge Police Department had acted "stupidly" in its arrest of Harvard professor Henry Louis Gates. Obama later backed off from those words, and invited Gates and the arresting officer, Sgt. James Crowley, to join him at the White House for a beer. "This president I think has exposed himself as a guy over and over and over again, who has a deep seated hatred for . . . white people? Or the white culture?" Beck asked. "I don't know what it is, but you can't sit in a pew with [former Obama pastor] Jeremiah Wright for 20 years and not hear some of that stuff, have it wash over." The show's co-host, Brian Kilmeade, replied to Beck: "But listen, you can't say he doesn't like white people. David Axelrod's white, Rahm Emanuel his chief of staff is white. I think 70 percent of the people we see every day are white. Robert Gibbs is white." "I'm not saying that he doesn't like white people," Beck said. "I'm saying he has a problem. This guy, I believe, is a racist. Look at the things that he has been surrounded by." Predictably, Beck’s off hand remarks created a storm of controversy in the leftwing blogosphere, the same group that had been apologists for the Rev. Wright’s statements of hate against whites and Jews. Color of Change, which claims to be the largest African-American political organization online with 600,000 members, has seized on Beck's comment to mount a campaign to discourage companies from advertising on the program. Color of Change Executive Director James Rucker spoke with Newsmax, and made clear his organization's goal is for Beck's voice to be silenced. "It's preposterous and absurd," Rucker says of Beck's opinion. "It's insulting to black Americans; and it corrupts honest debate. Anyone who uses such a platform to spew such vitriol, whether Glenn Beck or anyone else, has no place on the air, and we at Color Of Change would use every resource available to us to remove corporate sponsorship from their platform." The group is asking its member to sign a petition urging companies who advertise on Beck's program to pull their ads from the show, and claims that 150,000 members have signed the petition. And it says its anti-Beck campaign is working. In a Tuesday press release, Color of Change quoted an e-mail sent to the group from GEICO: "On Tuesday, August 4, GEICO instructed its ad buying service to redistribute its inventory of rotational spots on Fox TV to their other network programs, exclusive of the Glenn Beck program. As of August 4, GEICO no longer runs any paid advertising spots during Mr. Beck's program." A Fox spokesman confirmed that GEICO is dropping its ads from the show, Brandweek reported, but noted: "The advertisers referenced have all moved their spots from Beck to other programs on the network so there has been no revenue lost." It's not the first time Color of Change, which was founded in 2005, has sought to quell political speech from the right. It lobbied the Congressional Black Caucus not to host a Democratic presidential debate co-sponsored by Fox, arguing that it "consistently marginalizes . . . black leaders and the black community." Marching in lockstep, Barack Obama and Hillary Clinton shunned the debate. Grass-roots leaders find news of the group's ties to the Obama administration alarming, however. They see the anti-Beck campaign as part of a clear pattern of Democratic efforts to stifle free expression from the right, ranging from the recent labeling of town hall protesters as "un-American," to openly mocking talk-show hosts like Rush Limbaugh, to flirting with back-door ways of reinstating federal controls over radio content, such as "localism" and the Fairness Doctrine. Now they are answering back. "We have put out the word among our grass-roots members," Everett Wilkinson, a national leader of the Tea Party Patriots, tells Newsmax. 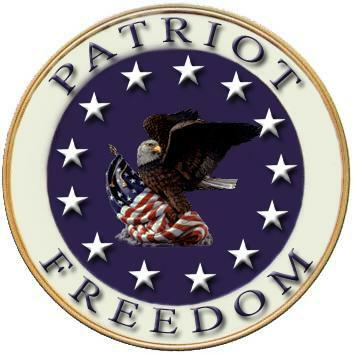 Wilkinson tells Newsmax that the Tea Party Patriots have joined forces with a similar group, the National 912 Coalition, to beseech their members to contact Beck's sponsors, and encourage them to continue underwriting The Glenn Beck Program. He says members are even hosting Glenn Beck popcorn nights to watch the program together and have an open debate about its topics. "It's about principles not parties," Wilkinson says. "Perhaps you disagree with him, but at least we're getting America to talk." Wilkinson says Tea Party Patriots holds Beck "in high regard as a journalist" adding, "We also understand a large amount of his show is entertainment. But we support any kind of independent journalist, be it Glenn Beck, Cavuto, Hannity. And we see that anyone who is independent or who puts out an independent perspective is being attacked by the liberal left." Rich Noyes, research director for the Media Research Center, points out there wasn't much hue and cry when President Bush was labeled a racist in the aftermath of Hurricane Katrina. But the political left is far more inclined than the rest of America's body politic, he says, to attack and punish individuals for their views. "If the left wants to clean up hate speech, they can start in their own ranks," Noyes says. "We had a syndicated radio host Mike Malloy go on the air after this, and say he hoped Glenn Beck would commit suicide on live TV. A few days later he said he hoped Rush Limbaugh choked to death on his own fat. There are hate-filled things coming out of the left-wing media all the time, but it doesn't seem to get the left riled up or upset." Newsmax made several attempts to reach some of the companies that reportedly dropped their support for the Beck program. As of Tuesday evening, those calls had not been returned. One thing that's clear is the controversial hasn't dented the popularity of Beck's program. On Tuesday, for example, overnight Nielsen's showed The Glenn Beck Program attracted over 2.3 million viewers — more than CNN, MSNBC, and Headline News combined. President Obama's "green jobs czar" is co-founder of an African-American activist organization that has led a campaign prompting major advertisers to withdraw from Glenn Beck's top-rated Fox News Channel program. In recent weeks, Beck has done several critical segments about Van Jones, who was appointed as the special adviser for green jobs, enterprise and innovation at the White House Council on Environmental Quality. Now Colors of Change, an activist organization seeking to "strengthen Black America's political voice" has led a furious campaign against Beck culminating in major companies such as Geico and Lawyers.com pulling their spots from the Fox News star's daily show. The group also says it has garnered about 75,000 signatories for an online petition against Beck to be sent to advertisers. Geico and Lawyers.com have pulled their ads from the Fox News show, and Procter & Gamble, Progressive Insurance and SC Johnson have all claimed their ads were run in error and vowed to correct the mistake. Speaking to the East Bay Express, Van Jones said he first became radicalized in the wake of the 1992 Rodney King riots, during which time he was arrested. "I was a rowdy nationalist on April 28th, and then the verdicts came down on April 29th," he said. "By August, I was a communist."